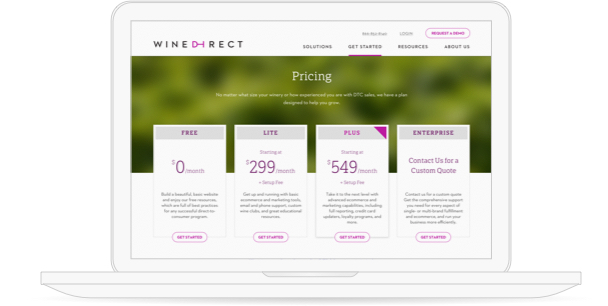 Whether you’re trying ecommerce for the first time or using our top-of-the-line platform to refine your DTC strategy, getting started is easy. You’ll be up and running before you know it. Step 1: Tell us a little about yourself. 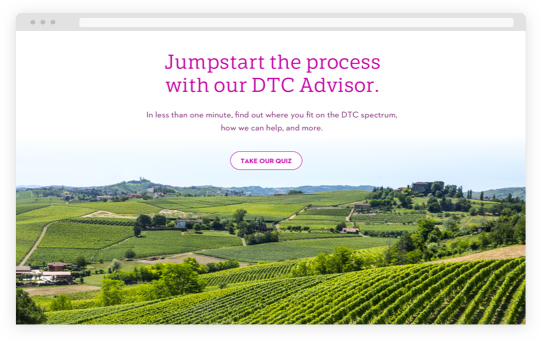 Based on your answers to our DTC Advisor’s questions, we’ll provide customized recommendations for your winery, including a plan that meets your winery’s present-day needs and thought leadership that helps you take your DTC sales to the next level. Step 2: Explore your options. After you get your recommendations, check out our plans and website templates, learn more about our capabilities, and schedule a demo with our team. We’ll talk you through the ways our platform can help you grow, explain the onboarding process, and help you figure out whether your data migration and setup needs will be best served by an outside consultant. Step 3: Sign up for a plan. So you found a plan that's right for you and you're ready to get your site up and running. Great! 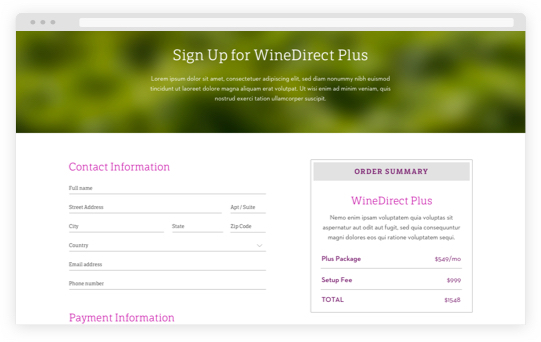 Now just sign up and start selling more wine on your terms.